Anlaan’s projects are among the best in bridge construction and incorporate everything from new highway bridge construction, such as the massive M-6 bridge over I-196 in Grand Rapids, MI to rehabilitation projects, including the historic Twyckenham Drive Bridge over the St. Joseph River in South Bend, IN and the Dexter-Huron Metro Park pedestrian bridge in Dexter, MI. Bridge construction offers the opportunity to be part of a rewarding and safety-driven industry. Anlaan strives to embody complete honesty and integrity in pursuit of their vision; to create a working environment that places the utmost value on the welfare of the employee, instill a sense of ownership, and to embrace excellence in all aspects of performance. For this reason, the safety and well-being of employees, subcontractors, and the communities served are of the highest priority. Each day at Anlaan offers unique challenges and opportunities for career growth. They are committed to developing talent through training, mentoring, and hands-on experience, striving to employ the top construction craft laborers, carpenters, and operating engineers in the industry. 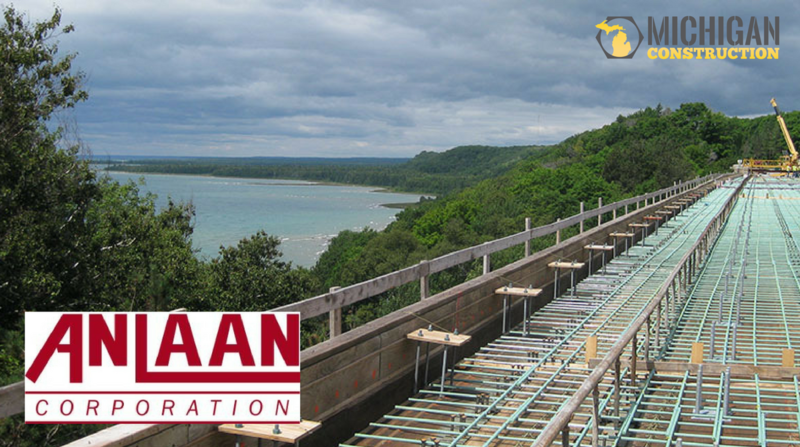 If you are looking for a rewarding career in a growing company, offering you the opportunity to contribute to the vital infrastructure of your community, with results you can take pride in for years to come, check out Anlaan Corporation’s employment page and apply today!